To register for a ProjectFUN program, simply click the Register Now link at the top of the page. Search or use the filter to find the program that you wish to sign up for, create an account or log in to your account, and follow the prompts to submit your registration. If you have any questions, don’t hesitate to email projectfun@digipen.edu. We want all students to be successful here! For your student to make the most out of their time at the DigiPen Homeschool Academy, families new to the program are required to speak with a DigiPen Homeschool Academy Coordinator before enrolling in courses. We can assist you in placing your student into the appropriate courses. Prerequisites for courses, as well as the general grade range that a given course is suitable for, are listed with the specific course descriptions. DigiPen understands that the abilities of homeschooled students do not always fit traditional standards and you are encouraged to contact us should you feel there are factors that should be considered. To schedule a time to speak with a coordinator, or to arrange a tour, please contact homeschool@digipen.edu. Young Explorers and one-week Juniors Summer Workshops (Grades 1-3) are $699 per one-week workshop. (Junior R/C Car Racing excepted.) These workshops require a non-refundable deposit of $195 to reserve a seat. 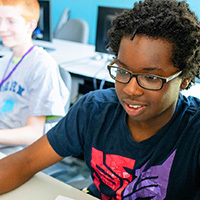 Two-week Junior Summer Workshops (Grades 4-7), Teen Summer Workshops (Grades 8-12), and Scholars Programs (Grades 8-12) are $1,349 – $1,549 per two-week session. Two-week programs require a non-refundable deposit of $395. MasterClass Programs (Grades 10-12) are $2,049 per two-week session. 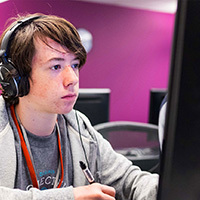 Pre-College Programs (Grades 11-12+) are $2,699 per four-week session. Pre-College Programs require an application. Full tuition is due on April 30th. Weekend Workshops (grades 1-12) are $249 per 3-week session. Online School Year Workshops (grades 8-12) are $495 per 10-week session. We offer a fall session and a spring session. Workshop selections, schedules, tuition, and non-refundable deposits may vary. Registration and full tuition deadline is two weeks prior to the start of the workshop. Homeschool semester-long courses (Grades K-12) are $595 – $670 per 14-week session. Homeschool full-year courses (Grades K-12) are $1,190 – $1,280 per 28-week session. Courses can be held with a $100 non-refundable deposit. Some courses may have additional non-refundable materials fees. Tuition is due in full on the first day of the course. The 2019-2020 school year courses may differ. If a Summer Workshop is canceled for any reason, you will be notified no later than 14 days before the workshop’s start date and refunded the full amount. Parents can withdraw their student from a ProjectFUN Summer Workshop by the tuition due date of April 30th to receive a full refund minus the non-refundable deposit (view Tuition to see non-refundable deposit amounts). Parents who withdraw their student from a ProjectFUN course or workshop after April 30th will receive no refund for fees paid. Workshops can be transferred as long as there is space available, with no fees. Parents can withdraw their student from a School Year Program by the program registration deadline to receive a full refund minus the non-refundable deposit. Parents who withdraw their student from a School Year Program after the program registration deadline will receive no refund for fees paid. Registration deadlines are two weeks before the start of the semester. If you have any questions about DigiPen Academy or ProjectFUN’s tuition, discounts, scholarships, or cancellation policies, email homeschool@digipen.edu, projectfun@digipen.edu, or call our office at (425) 629-5007. 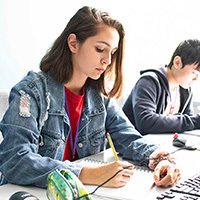 Scholarships for programs offered through DigiPen’s K-12 Programs, either full or partial, are available to applicants based on their financial need. In order to offer as many opportunities to students as possible, we require an application be submitted prior to the beginning of the class or workshop, with due dates varying based on the program. Please review the eligibility guidelines and then follow the application link listed below! Need-based scholarships are available, but limited, and awarded on a first-come, first-served basis. Payment plans are available upon request – please contact homeschool@digipen.edu with questions and to make arrangements. Applications for these programs must be completed at least three weeks prior to the course start date. • Each student may only be considered for one workshop scholarship per season (Summer, Fall, or Spring). • Summer Workshop scholarship applications are open until April 1st. They are considered in advance of the beginning of workshops to provide families time to prepare. They open yearly in December, coinciding with the release of our Summer Workshop lineup, and close in April, with families notified shortly thereafter. • Weekend Workshops and School Year Online programs scholarship applications are currently closed. Applications for these programs must be received at least three weeks prior to the workshop start date. Eligibility for need-based scholarships is based on the guidelines below, encompassing household size (all adults and children living in a single household) and income standards. However, falling within these guidelines does not guarantee a scholarship. Similarly, if a scholarship applicant does not fall within these guidelines but can prove an additional financial hardship or special circumstances, the scholarship committee will take this into consideration and may grant a scholarship. Please include this information in your application. IRS Tax Return Transcript – Please note this is not a Form 1040. You may request a Tax Return Transcript here: http://www.irs.gov/individuals/get-transcript. The IRS recommends that you allow 10 business days to receive this document. Please black out your social security information. You may submit the Tax Return Transcript for the most recent year you filed taxes. If you have not filed within the past few years, the IRS can also provide a Letter of Non-Filing, which is also acceptable. An application missing any of these documents will be considered incomplete and cannot be considered for a scholarship. Applications will not be reviewed unless all materials are received by the deadline. ProjectFUN is pleased to offer a variety of discounts for our Summer Workshop participants! Automatically applies when you register and pay the non-refundable deposit/application fee by February 4th. Automatically applies to every workshop after the first for each student. For example, if a student registers for three Young Explorers Summer Workshops in the same summer, she would receive a 5% discount on her second workshop and her third workshop. Each sibling enrolled can receive 5% off. You receive a discount for each new friend that registers for a workshop after your referral. See below for full details! Discounts are not available for the Pre-College Program or online programs. Percentage discounts cannot be combined, and promotions are not available on past orders. We are happy to offer need-based scholarships for all of our programs. The scholarship application deadline for Summer Workshops is April 1st, scholarship amounts vary. Please see Scholarships, above, for more information as well as details on scholarship application deadlines for other programs. We do our best to catch all Sibling and Loyalty discounts on applicable orders, but if you believe you qualify for a discount that has not been applied to your purchase, please let us know! Email projectfun@digipen.edu. If your student is under the age of 13, you may be eligible to count a ProjectFUN Summer Workshop as an expense toward the Child and Dependent Care Credit. Visit the IRS website for more information. DigiPen Institute of Technology’s tax ID number is 91-1946296. Receiving a discount on your ProjectFUN tuition is as simple as referring a friend! Log in to your account and fill out the form on the Refer a Friend tab for a chance to receive a $50 discount on your Summer Workshop or $25 on your Homeschool or Weekend course. Referred friends must be new to ProjectFUN and must register for a workshop or course for you to receive the discount. There is no limit to the number of friends you can refer or referral discounts you can earn. You are welcome to gift this discount to your referred friend as well!